As India is such a large country, there is a wealth of luxury activities on offer that will really make your holiday one to remember. If you’re interested in luxury India tours, we have outlined 8 of our favourite activities that you should consider partaking in during your stay. Which of these are you hoping to enjoy during your next holiday? Thousands of visitors (livestock in tow) flock to the beautiful Rajasthani city of Pushkar each November for the annual camel fair. 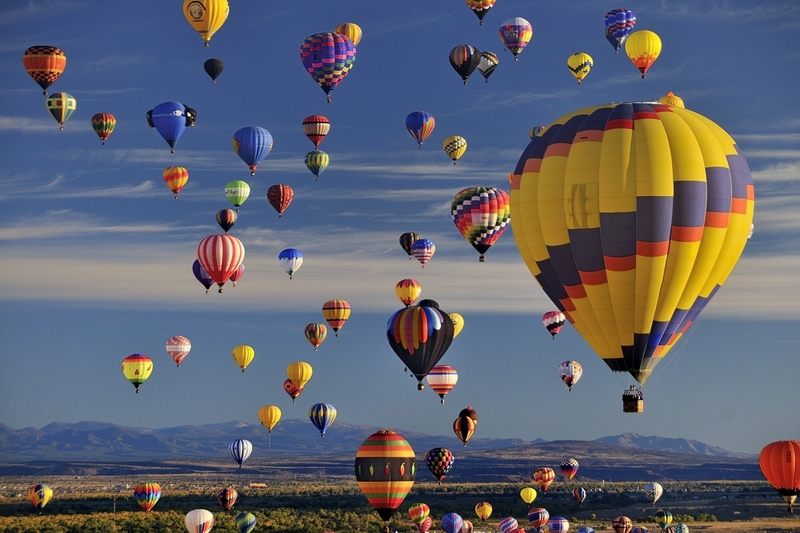 The best way to see all of the vibrant festivities is by taking to the skies in a hot air balloon, letting you take in the sights without interruption. If you plan on travelling through either Delhi or Jaipur, you should book yourself into a private polo session. If you’re looking for something a little more outstanding, you could even sign up for elephant polo! The game is played whilst you sit astride a majestic elephant. Located in Varanasi, this palace has long been a favourite amongst visting royals and celebrities. Guests can revel in the palace’s opulence whilst enjoying a private lunch. You can even converse with scholars from the Jnana Pravaha (a local centre for cultural studies). India is home to a number of incredible species, including powerful leopards. If you travel to rural Rajasthan, we recommend staying at the JAWAI Leopard Camp where you can go on safari to see them in their natural habitat – all whilst staying in luxury. For the ultimate in luxury tours India, we recommend booking a private dining experience at Oberoi Amarvilas. The restaurant is located in the shadow of the Taj Mahal – guests can observe the world-famous monument in the moonlight as they dine. To see one of the most wild and unspoiled parts of Madhya Pradesh, you should head to the abandoned city of Mandu. There is an array of stunning ruins to see, from palaces and mosques to tombs. This is a sight that very few tourists take the time to explore. Why not get some rest and relaxation during your stay? There are a number of Ayurvedic and yoga retreats found around India – book yourself in for a short or long stay. As well as learning these ancient practices, you will enjoy authentic home-cooked food. If you’re planning to travel the country by train, book yourself onto one of the private carriages offered by Sujan (who offer luxury camps in the north Indian countryside). The carriages are attached to several trains, so you can ensure that every step of the tour is luxurious. We hope that the above list of activities has given you some things to consider for your upcoming luxury India tour. If you would like to partake in any of them, we recommend contacting your tour company – in most cases, they should be able to arrange them for you. When you return home, we’re sure it will be with some amazing memories and experiences.